We face one of two realities. 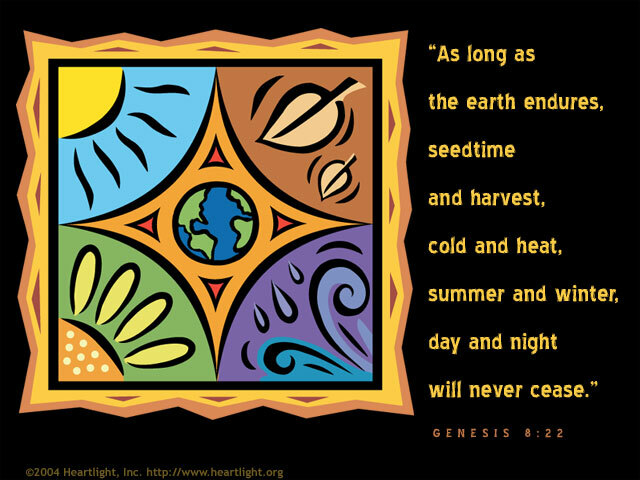 One reality is this: tomorrow will come, the earth will turn, and the seasons will pass in their appointed order. The second reality, God will interrupt his appointed order; Jesus will come and we'll share in his glory. These realities are as sure as the sun's coming up in the morning and going down in the evening. Either way, God's promises win out over our fears and Satan's opposition. In other words, by God's grace, we win! Thank you, Almighty Father, for your great and wonderful promises. I trust in tomorrow for I know you, that unless Jesus return, you will be there ensuring it and Jesus will be there guiding me through it. In the name of my Coming and Conquering Lord I pray. Amen.